Fisht Stadium is a newly built stadium in Sochi stadium. This stadium was built for 2014 winter Olympics. Construction of the stadium was completed in 2013 and opened in the same year. This stadium is also known as Fisht Olympics Stadium. 2018 FIFA matches are scheduled to held in this beautiful stadium of Sochi city. Fisht stadium FIFA 2018 tickets are in high demand due to football world cup 2018 matches in this ground. Total 6 matches are scheduled in Sochi stadium and the first match will be played here on 15th June and one quarter-final is also played here. Sochi stadium tickets are already in high demand a few days are left in the 2018 world cup. Football is the most watching sporting event of the world and football fans from many countries will come to Sochi to watch live matches. Sochi Olympic stadium capacity has been increased to 41,220 from 40000. Field size is 105 x 68 m and it has grass surface. US $779 million was spent on the construction of this stadium. We have created this page to help the football fans in getting 2018 FIFA Fisht stadium tickets online along with the nearest airport, how to reach, time zone, stadium schedule, etc. We have included all the quick facts and important details of the Fisht stadium in a simple table. 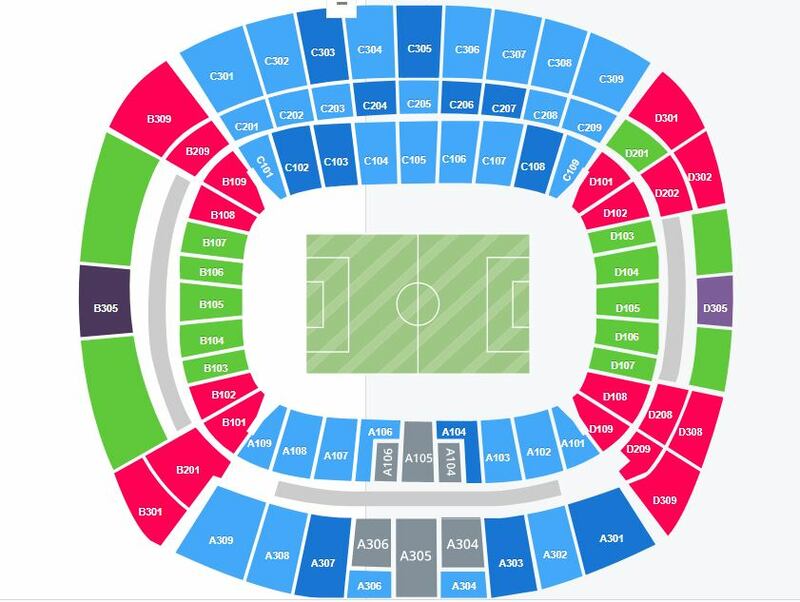 As all the football fans are well aware that purchasing world cup ticket is really tough task if not planned properly. Stadium passes and tickets are mandatory to watch live football matches in this stadium. 6 matches will be played at this stadium and Sochi stadium FIFA 2018 tickets are available online. Tickets should be bought only from official websites to avoid any fraud. World cup is organized in every 4 years and this year Russia got the opportunity to host FIFA 2018 cup. Buy Fisht stadium tickets online only from authorized sites. Sochi stadium tickets price also depends on various factors like category, match type, timing and seat availability. Some seats are increased for this world cup and the seating capacity of the stadium is now 41220 as per the wikipedia. Knowing about the Fisht stadium seating plan will be a wise decision. Fisht stadium seating plan is displayed below to help users to locate their seats easily at the time of match of during the ticket bookings. Many hotels are located very near to the Sochi stadium. List of nearby hotels are listed below along with the distance from the stadium. Sochi international airport is the nearest one to the stadium. It is the world-renowned airport. It is just 8 KM far from this stadium. Address of the stadium is Olympic Ave, Adler, Krasnodarskiy kray, Russia. On the match day, many commuter trains will drop the passengers here from the airport and other important parts of the city. I hope this guide will be helpful to all who are planning to watch the soccer match or events in Sochi Fisht stadium.